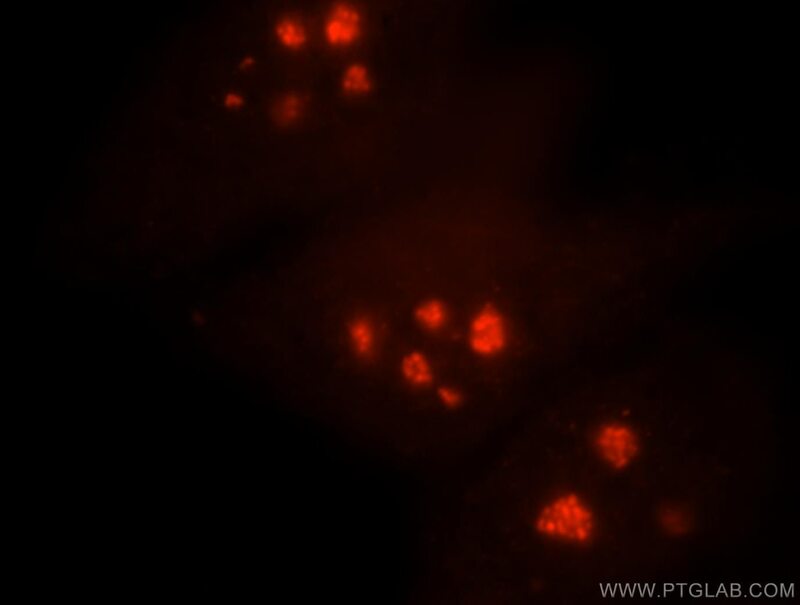 Immunofluorescent analysis of HepG2 cells, using NHP2 antibody 15128-1-AP at 1:25 dilution and Rhodamine-labeled goat anti-rabbit IgG (red). 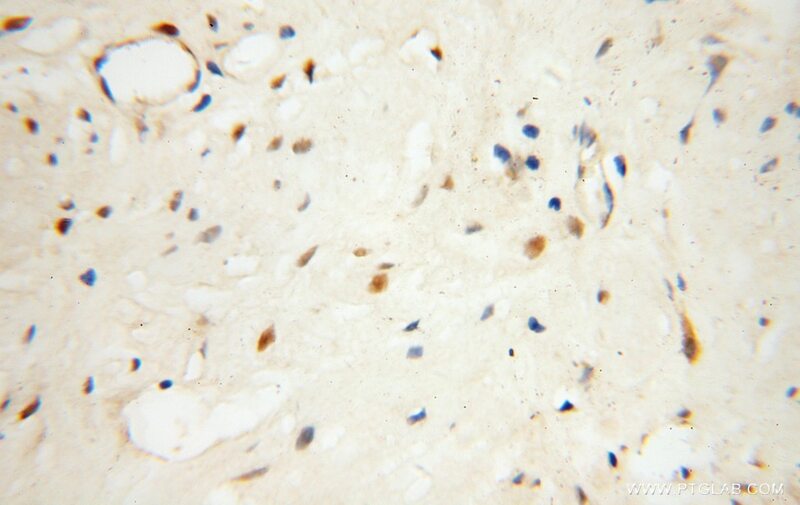 IP Result of anti-NHP2 (IP:15128-1-AP, 4ug; Detection:15128-1-AP 1:500) with HepG2 cells lysate 3600ug. NHP2 belongs to the H/ACA small nucleolar ribonucleoprotein (H/ACA snoRNP) complex, which catalyzes pseudouridylation of rRNA. It is required for ribosome biogenesis and telomere maintenance, and for correct processing or intranuclear trafficking of TERC, the RNA component of the telomerase reverse transcriptase (TERT) holoenzyme. 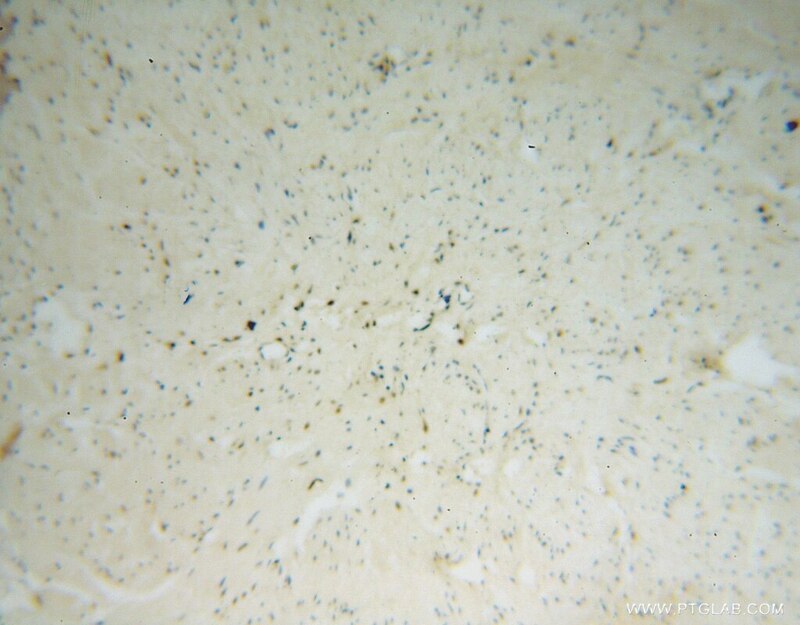 Expressional analysis of NOLA1, NOLA2, NOLA3 and DKC1, the core proteins in H/ACA riboproteins, in gastric and colorectal cancers. Differential requirements for H/ACA ribonucleoprotein components in cell proliferation and response to DNA damage. Cryo-EM structure of substrate-bound human telomerase holoenzyme.